MY VOICE IN THIS DEMOCRATIC COUNTRY AND OPINION AND COMMENTARY AND SUGGESTIONS AND AS SIMPLE HUMAN IN THIS WORLD SOCIETY ON THE RELIGIOUS ISSUE AND MATTERS IN FACING TEMPTATIONS AND SUFFERINGS AND HARD TIMES IN LIFE AND CARRYING CROSS IN LIFE. HOW THE PEOPLE FACE THIS LIFE BY THE NON BELIEVERS AND BELIEVERS. THE BIG SUFFERING IN LIFE OF THE PEOPLE IN LIFE AND LIVING IS THE ABUSIVE AND EVIL GOVERNMENTS OR GOVERNMENT BEING TRAITOR TO GODS GOODNESS AS HIS SERVANT IN GOOD AND THE SOCIAL UNFAIRNESS SUFFERINGS BY THE PEOPLE IN KEEPING THE GOOD AND FAITH TO GOD. IN THE PHILIPPINES, THE FILIPINO SUFFERINGS IN LIFE OR THE CROSS IN THEIR LIFE IS THE ABUSIVE AND CORRUPT AND BAD GOVERNMENT OPPRESSING AND ABUSING THE PEOPLE. THE SOCIAL INEQUALITIES ALSO IS A BIG SUFFERING BY THE PEOPLE. RELIGIOUSLY SPEAKING THIS IS THE CROSS WE SUFFER IN OUR DAILY LIVES IN THIS COUNTRY. 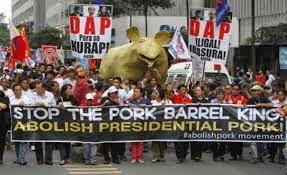 THE CORRUPT OFFICIALS IN THE GOVERNMENT LIKE PDAF, THE BASIC OR MASS FILIPINO PEOPLE SUFFER IN THIS CORRUPTIONS WHICH FINANCIALLY THEY NEED IT MOST TO SURVIVE IN LIFE. THE POVERTY AND POOR LIFE SUFFER BY MANY IN THE PHILIPPINES AND THIS PROBLEMS IS NOT A MODERN PROBLEMS BUT ANCIENT PROBLEMS OR DURING JESUS CHRIST TIMES OF HAVING POOR LIFE OR "YAGIT" LIFE. THIS KIND OF SUFFERINGS IS NOT JUST A PERSON FALSE AND UNLUCKY IN LIFE BUT THE GOVERNMENT OR GOVERNANCE HAS THE BIG FACTOR AND INFLUENCE IN LIFE OF A PERSON IN HIS COUNTRY OR THE WHOLE WORLD. FOR EXAMPLE THE LAND REFORM OR THE HOW THE PEOPLE OF EVERY COUNTRY WOULD OWN A LAND. THERE MUST BE A LIMITATIONS IN THIS LAND OWNERSHIP AND THE PHILIPPINE SOCIETY HAS THE BIG PROBLEMS IN LAND DISTRIBUTIONS UP TO THIS RECENT TIMES. THE FAITHFUL OR BELIEVERS IN GOD SPECIALLY CATHOLIC KEEP FAITH TO GOD THRU JESUS CHRIST IN CARRYING THIS SUFFERINGS IN LIFE IN THE PHILIPPINES. 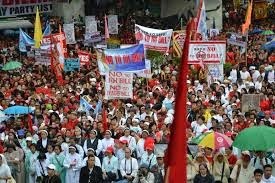 THE FILIPINO KEEP THE GOOD IN THEIR FAITH TO GOD INSPITE OF THIS ABUSIVE AND CORRUPT GOVERNMENT. SOME FILIPINOS BECOME CRIMINALS AND THEY TEMPORARY OR PERMANENTLY FORGOT GOD IN HAVING DIFFICULTIES AND HARD TIMES IN LIFE. THE UNEQUAL SOCIETY AND ABUSIVE AND CORRUPT GOVERNMENT IN THE PHILIPPINES INFLUENCED THE WEAK PEOPLE IN EVILNESS OR BAD ACTS. JESUS CHRIST ALSO TOLD IN HIS TEACHING ABOUT GIVING HOPE TO THE POOR TO KEEP FAITH AND GODS WILL BECOME THEIR KINGS GOD WILL BLESS THEM WITH HIS KINGDOM. SADLY SOME OF THE FILIPINO EVEN IN THE WHOLE WORLD WHO ARE IN POOR LIFE BECOME BAD. THE GOVERNMENT AND SOCIAL INEQUALITIES HAS BIG FACTOR EFFECT IN LIFE TO HOLD THE GOODNESS. FROM SIMPLY OUR BEHAVIOR OR BEING SELFISH, MAYABANG, FAILURES IN LIFE, INTEREST CAN NOT BE GET, BROKEN FAMILY, BROKEN HEARTS, OPPRESSED, BULLIED, AND MANY MORE SUFFERINGS AND TEMPTATIONS WE ARE FACING TO HOLD THE GOOD, COMMON GOOD AND GODLY GOOD. OUR LEGAL OR COMMON GOOD IS NOT ENOUGH TO HINDRANCE THE BAD ACTS OF EVERY PERSON EVEN THE TEACHING OF GOD WERE TURN DOWN BY MANY. THE PEOPLE NEED TO KEEP FAITH AND BELIEVE IN GOD THRU JESUS CHRIST TO KEEP THE GOOD IN LIFE INSPITE OF MANY TEMPTATION IN LIFE AND SUFFERINGS AND THE BIG ON THOSE IS THE GOVERNANCE WHOM AFFECTING OUR LIVES FROM FINANCIAL LIVING AND CIVIL AND JUSTICE ETC., ETC..
KEEP FAITH TO GOD TO KEEP THE GOOD IN LIFE IN FACING TEMPTATIONS AND SUFFERINGS IN LIFE.